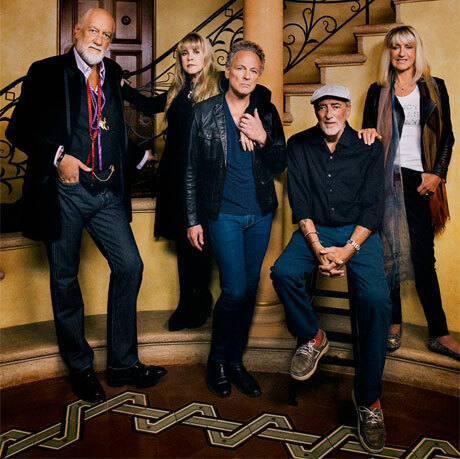 After reuniting with long-absent member Christine McVie, beloved rock veterans Fleetwood Mac have embarked on an enormous North American tour. Though it's barely just begun, the trip has already been expanded with a pile of additional dates. Fleetwood Mac have added 28 more shows to the tour, which is now stretching into early 2015. Among them are a second show at Toronto's Air Canada Centre on February 3, as well as a show at Montreal's Centre Bell Centre on February 5. Fleetwood Mac's current tour continues in Boston tomorrow night (October 10), and includes previously announced Canadian dates in Toronto, Winnipeg, Saskatoon, Calgary, Edmonton and Vancouver. The band's full tour itinerary is available below.